Image Size: 18 X 14.5 in. Two artists make accomplished perfection appear effortless. 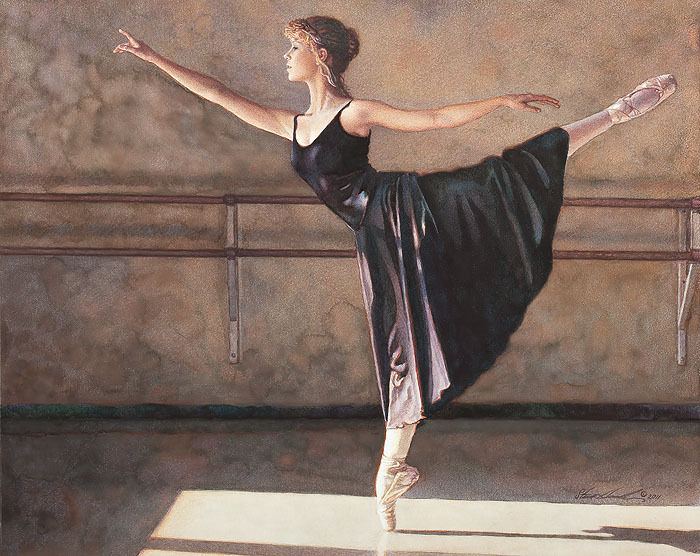 We see the dancer’s mastery of balance and grace through the artist’s command of shape and form and the play of light on and about her through his superb mastery of watercolor paints.